It was a thing in college! I had never read it up until today. I was just curious. Years have passed since the book came out and it still strikes a chord. What’s in it? It’s the story, a true life story, of Ravin and Khushi. It’s about how they meet, through a matrimonial site, fall in love… but. It’s such a simple and sweet story. 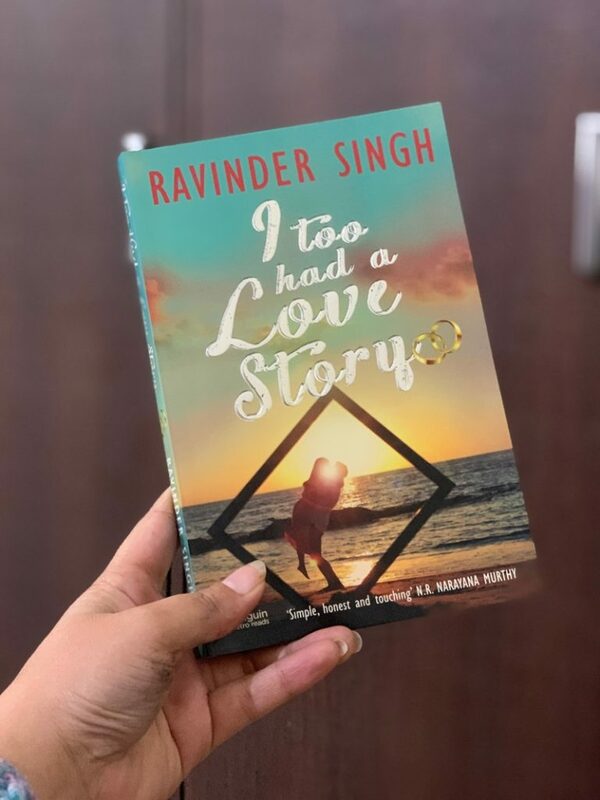 Narrated by Ravinder Singh, you get to read everything that goes on in his mind in an innocent manner… as if he was just sitting besides you, narrating the tale. It feels so real… and yet what you read in the book, you’ll wish all of it wasn’t. I know the book was a thing in college, but having not read it in college, I was sceptical if I would even like this book. The story isn’t written in a dramatic manner to entertain. It seems to be written just to lock all of those memories of a person on a few pages. So, expect no drama and entertainment quotient. Expect pure emotions, the awkwardness of two strangers falling in love, the youth of two love birds, the innocence of love, and the reality of life in the few hundred pages of I too had a love story. As always, I find myself speechless… unable to pen down a review of a book I really liked. Yes, if I discuss just the writing and the plot, as it were a fiction, I can point out how it’s not perfect. But the fact is it’s not just fiction. Having read it now, I understand what made it such a craze back then, and even now. The young people… just falling in love or hoping to fall in love connect to this book on a deeper level. The very simplicity and the authenticity of the story makes it likeable. Trust me! I want to stay more but I don’t want you to be like me who knows what happens in the end, hopefully. So, I am refraining to discuss those portions. Overall, I think for somebody in college, it makes a very good heart-touching read. And for somebody who just picks it out of curiosity and is past that young age, it’ll definitely make you understand what’s so likeable about this book.